The first West of England Billiards & Snooker Foundation, Gold Waistcoat Tour event of the season produced no less than nine century breaks in a scintillating day of quality snooker. West Country Professional Sam Baird, giving 14 points per frame, set a new benchmark of seven century’s the best a superb 134 clearance. However, Baird was made to dig deep and produce top quality play in order to win the event. In the last sixteen of the knockout stages he dropped a frame against Rob Charman, from Cornwall, before breaks of 95 & 51 from Baird sealed a 2-1 win. In the next round Baird had it a little easier as James Lee’s good run fizzled out. The next match between Baird and top amateur from Wiltshire, Ben Harrison proved to be a top drawer classic. Baird won 2-1 but had to produce breaks of 79 & 105 whilst Harrison made a 101. After reaching the final Baird still had to overcome another quality amateur in Darren Bond. Bond’s path through the knockout stages involved a win over reigning champion Andy Neck from Newton Abbot, and wins against ‘potting machines’ Jamie Read (Cornwall) and in-form Haydon Pinhey (Plymouth), Bond made breaks of 52 & 65 against the latter two players. As in the semi final earlier between Harrison and Bond, Baird was again made to produce his best as Bond took a frame with a 55 break before Baird went on to win 2-1 with a superb 124 break. Other matches of note in the knockout stages included wins for Harrison over Exeter youngster Jay Bullen that included breaks of 50 & 95 from Harrison and a 70 from Harrison in a win over tough competitor Nick Kenny from North Devon. In the last of the quarter finals Pinhey made a brace of 50 plus breaks to beat top Plymouth cueist Steve Brookshaw. In the group stages the players were given excellent value with 185 frames being played in order to whittle the field to sixteen qualifiers that would go through to the knockout stage. Darran Lock (Cornwall) topped group A with six out of six wins and breaks of 50 & 56, Nick Kenny was in second place, Andy Astin (Torbay) in third place with 47 & 94 breaks and Jay Bullen the fourth qualifier. No one player dominated group B, Darren Bond pipped Ben Harrison on frame count back into second spot and a three way tie saw Paul Standen (North Devon) ahead of James Lee leaving Dale Branton ( Plymouth) just missing the cut. The group produced a barrage of breaks from Michael Rogers (Taunton) (50 & 106), Lee (45, 48 & 48), Standen 70, Branton 72, Bond (58, 60 & 63) and Harrison (52, 71, 74, 79, 81 & 120). Baird was untroubled in group C posting a string of breaks including four centuries (55, 66, 70, 80, 103, 104, 123 & 134). The remaining qualifiers in the group, could only be separated by frame count back were Haydon Pinhey (52 & 72), Steve Brookshaw (52 & 60) and Jamie Read 53. Qualifiers from the final group were Rob Charman (47, 47 & 50), Andy Neck (68 & 71), John White and Mitch Wood both from (North Devon). Former event winner Alan Hurley from Cornwall was the unlucky player that lost out in a single black ball shoot out to decide the last two qualifiers after a three-way tie that could not be decided by frame count back or aggregate points scored. Spokes person for the WEBSF said “Just when we thought this competition had reached a level that would not be bettered the players have pushed the boundaries yet again. Players of all standards have raised their game here today and the tour looks to be as strong as ever. This season we hope to take the tour to the South West Snooker Academy in Gloucester and draw players from other parts of the region, thereby realising one of the Foundation’s main objectives to provide top class snooker for all.” Any players wishing to enter this tournament should contact the WEBSF by email: websf_uk@yahoo.co.uk or phone Steve Canniford, Mobile 07891940995. This event was run by the WEBSF, and sponsored by Rileys, Plymouth. Darren Bond from Tiverton leads the West of England Gold Waistcoat Tour rankings after the second event but it is the ascendance of the current champion Andy Neck (Newton Abbot) into second place that is ominous. Neck under performed in event one but has turned that around with a solid performance to win event 2. In the semi final Neck beat Bond, aided with a 74 break and in the final he beat Alan Hurley from Cornwall who also played consistently well all day. Hurley was narrowly eliminated in event 1 after a black ball shoot-out which resulted from a three way tie. In the semi final he beat Steve Brookshaw (Plymouth) after the latter missed a ‘sitter’ match ball. Hurley’s reward is a 15 place elevation to 5 place in the rankings. In the quarters Hurley made breaks of 60 & 40 to beat Alan Tunney (Torbay) who is back playing following an injury, Brookshaw beat Andy Astin, also from Torbay, Bond narrowly beat Mitch Wood from North Devon and Neck beat James Lee from Torbay. The last sixteen saw breaks from Hurley 52, Brookshaw 85, Rob Charman (Redruth) 48 and Astin 46. Players to go out at this stage where, Nick Kenny & Sheridan Tetley (North Devon), father and son Wayne & Dale Branton, Dan Legassick all from Plymouth, Jamie Reed & Charman from Cornwall and pre tournament favourute Ben Harrison from Whiltshire. In the group stages Dale Branton set an early best break of 93 followed by the only century of the day, a fine 102 which helped him to second place in group D. Fist spot went to Tunney with breaks of 73 & 68. The other qualifiers where Lee (76 break) and Legassick. Group A was lean on breaks with just the one 86 clearance from group winner Charman. The remaining qualifiers being Astin, Kenny and Wood. Group B saw Wayne Branton (58 break) put in a good performance to win the group. Harrison made breaks of 80,70 & 68 to finish in second place with Bond (63 break) and Read (67 & 40 Breaks) the remaining qualifiers from the group. Three players; Neck with breaks of 99,71,49 & 42, Hurley & Brookshaw 65 break. tied for top spot. On frame count back this order was how they finished up and they were joined by Tetley. Spokes person for the WEBSF said “Another well attended tournament where the players produced solid match play snooker. Darren Bond’s position at the top of the rankings will be tough to hold on to with the likes of reigning champion Andy Neck finding some consistency and several other talented players jockeying for position close behind. The next Gold Waistcoat event, in February, is scheduled to take place at the South West Snooker Academy, Gloucester where the conditions are of professional championship standard. It will be interesting to see how the players cope with super fast running clothes and tight pocketed tables. I believe they will rise to the challenge and provide us with a feast of quality snooker.” Any players wishing to enter this tournament should contact the WEBSF by email: websf_uk@yahoo.co.uk or phone Steve Canniford, Mobile 07891940995. This event was run by the WEBSF, and sponsored by Rileys, Plymouth. The South West Snooker Academy, at Gloucester has become a ‘Honey Pot’, attracting players eager for a taste of what it’s like to play snooker under world class conditions. 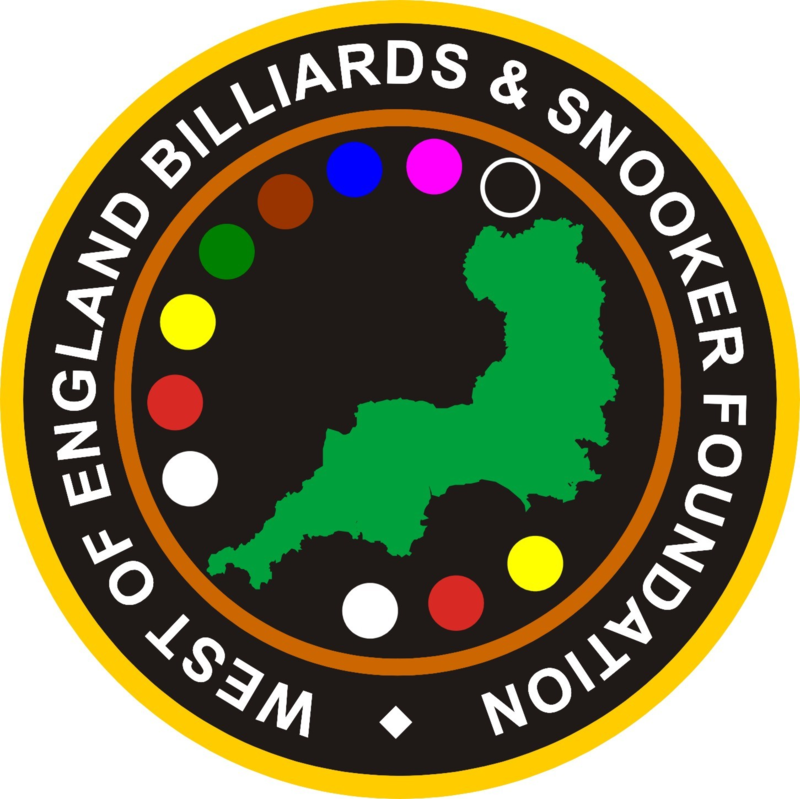 One of the West of England Billiards & Snooker Foundation’s main aims is to facilitate opportunities for its members to realise their dreams and aspirations. One such aspiration was realised when the WEBSF took their Gold Waistcoat Tour to the Academy. Super fine cloths, lighting fast cushions and tight pocket openings prove unforgiving of a less than perfect technique and lapses in concentration. With a full day of snooker ahead of the players, mental stamina would play an important part in whittling the field down to two players to compete in the final. Bickington player Paul Standen’s text book cue action took him through the group and knock-out stages to the final, with the loss of just 3 frames out of 19. Along the way Standen posted a clearance break of 122, the highest of the day. This was enough to take the break prize, a superb achievement on professional standard tables. Andy Neck (Newton Abbot) was on a par with only 4 frames lost out of 20, he also made the only other century of the day, a fine 101. At 10:30pm both players could be forgiven for being tired and it was Neck that held himself together to make the supreme effort needed to win. This is his second event in a row and he heads the overall ranking table by 440 points. Apart from the runners-up prize Standen rose 16 places up the rankings into 7th place. Alan Tunney (Torbay) narrowly lost to Standen in the quarter finals but was also a high climber, rising 10 places up the rankings into 5th place. Swiss prodigy Alex Ursenbacher climbed a massive 20 places into 19th place after this his first event. Ursenbacher’s run came to an end at the hands of Standen in the semi finals. Hereford born youngster Ben Fortey is sponsored by the Academy and at just 16 years old he is clearly destined for a bright future on the green baize. Fortey fought his way through the field to eventually loose to the greater experience of Andy Neck in the semi final. Tough competitor, Plymouthian Wayne Branton pushed Neck all the way before narrowly losing out in the deciding frame in the quarter finals. Dan Legassick, one of a number of talented young players emerging from Plymouth, did well to qualify from the group stages before also falling in the quarters. EASB Plymouth Referee Nick Harry once more did an excellent job adudicating over the procedings throughout the day. In the group stages players found breaks hard to come by, some even realised a sense of achievement on reaching double figures! However, as the tournament progressed they came to terms with the challenging tables and recorded the following breaks of note: Rob Charman 54, 49, 44, & 41; Alan Hurley 58 & 44; Mitch Wood 56; Darran Lock 61; Alan Tunney 55, 54, 42 & 41; Haydon Pinhey 58; Graham Ward 42; Michael Rogers 60; Paul Standen 122cl & 73; Alex Ursenbacher 86; Andy Astin 65; Andy Neck 48; and Nathanael Beckrich 53 & 44. Spokes person for the WEBSF said “What a superb venue to host a snooker tournament! The players have been tested by the demanding conditions here today but all are in agreement, that to play on such quality tables is a rare treat. They can’t wait until the Gold Waistcoat Tour returns in a few months time. It was business as usual, for Andy Neck, consistency once again proving the decisive factor. Paul Standen has also come to the forefront here today. His excellent cue action and temperament has helped him master the conditions which resulted in a fantastic 122 clearance break. The confidence he will take from this will make him one to look out for in the remaining events. On behalf of the WEBSF Management Team and Members I thank the Academy architect Paul Mount, for his vision and generosity and his staff for a fantastic day.” Any players wishing to enter this tournament should contact the WEBSF by email: websf_uk@yahoo.co.uk or phone Steve Canniford, Mobile 07891940995. This event was run by the WEBSF, and sponsored by the South West Snooker Academy, Gloucester. Paul Standen from North Devon reached the final of the latest event in the West of England Billiards & Snooker Foundation Gold Waistcoat Tour for the second time in succession. However, it was a repeat runner-up prize for him as Dale Branton from Plymouth took first prize, closing out with a 75 break. Branton’s form improved as the tournament progressed throughout the day, peeking in the final. As in the last event Standen added the highest break prize to his prize money tally, this time a superb 104 clearance. The top position in the overall ranking table remains in the hands of Andy Neck (Torbay) on 1900 points. Steve Brookshaw (Plymouth) moves up two places into second spot and Standen up four places into third place. Branton is one of the biggest movers climbing 18 places into fifth place. Kiaran Dwyer (Gloucester) proved to be the best of the new players to the Gold tour beating Neck in the quarters and reaching the semi final before succumbing to Branton. Keith Sulliven (Gloucester), Thomas Lancastle (Bristol), Ben Fortey (Hereford), Paul Broad (Cornwall) and Yijun Feng from Beijing, currently honing his skills at the South West Snooker Academy, all gave good accounts and will no doubt fare better in future events. Steve Downing (Cornwall), Darren Horsman and Nick Kenny, both from North Devon also reached the quarters and ‘retrieved’ their entry fees. The breaks tally in the group stages improved from the previous event here at the academy, demonstrating that the players are beginning to come to terms with the professional standard tables. Neck (66,57,56,53) and Brookshaw (53,53,41) qualified from group A. Rising start Haydon Pinhey just missed the cut after making breaks of 62,58,48,40. Group B was much closer with Horsman, Kenny & Michael Rogers (Somerset) finishing level. Rogers failing to qualify on count back. The break makers were Horsman 75, Mitch Wood (North Devon) 70 clearance, Kenny 69 and Chris McAvoy (Cornwall) 41. Downing was the clear winner of group C maxing out with six wins, without dropping a frame. Branton qualified in second place, breaks came from Jake Frank (North Devon) 44, Jay Bullen (Exeter) 52 & 47, Dan Legassick (Plymouth) 57 and Wayne Branton (Plymouth) 75. Standen won group D with breaks of 41,48 and 104 clearance. Dwyer the other qualifier making a 42 break. Other breaks from Chris Coumbe (Plymouth), Alan Hurley (Cornwall) 59 and Fortey 66 & 44. Spokes person for the WEBSF said “Another long day of quality snooker here at this great venue that saw; Paul Standen prove that his good form in the last event was not temporary by reaching the final and posting the best break once more; Dale Branton’s unexceptional run this season turned around with good form to win the event and make in-roads in the ranking table and Steve Brookshaw showing consistency to remain in contention in second place in the rankings. Leader Andy Neck won’t be content with going out in the quarters, I’m sure he will want to put things back on track in the next event back here at the academy on the 13th April 2013.” Any players wishing to enter this tournament should contact the WEBSF by email: websf_uk@yahoo.co.uk or phone Steve Canniford, Mobile 07891940995. This event was run by the WEBSF, and sponsored by the South West Snooker Academy, Gloucester. With just one event to go in the West of England Billiards & Snooker Foundation Gold Waistcoat Tour Andy Neck from Newton Abbot is in a very strong position to take the overall tour title for the second successive season. Neck heads up the ranking table on 2600 points which is 720 points above his closest rival, Steve Brookshaw (Plymouth). With a maximum 700 points available in the final event Neck only has to turn up to claim the 100 attendance points which will guarantee overall the title. After a full day of snooker at the South West Snooker Academy, Gloucester, ex professional Neck was met in the final by an up-and-coming talented youngster from Plymouth, Dan Legassick, who’s fine run was ended by the more experienced Neck. A win by Brookshaw over Neck in the semi final would see him close the gap and make things very interesting going into the final event in May. After a close run match Neck held his nerve to win aided with a 46 break. in the other semi final Legassick put pay to successive gold tour event wins for Dale Branton (Plymouth), Legassick posting a 59 break. The quarters saw Brookshaw put out another rising star from Plymouth, Haydon Pinhey in the deciding frame; Neck making breaks of 43 & 52 to edge out Darran Lock from Cornwall; Branton beating Andy Astin (Torbay) by the odd frame and Legassick putting a stop on good run from Jake Frank (North Devon). Other players that won through from the qualifying group stages, only to fall at the first hurdle were: Wayne Branton (Plymouth), Paul Standen and Sheridan Tetley from North Devon; young guns Thomas Lancastle (Bristol), Ben Fortey (Hereford), Michael Rogers (Somerset), Kiaran Dwyer and Rikki Moore both from Gloucester. The group stages saw an undefeated winner of each of the four groups: Neck in group A, with Dwyer in second place; Wayne Branton in group B, with Pinhey in second place; Dale Branton in group C, with newbie Moore in second and Legassick in group D ahead of Brookshaw. Spokes person for the WEBSF said “Another consummate performance from Andy Neck which sound see him take the title in the final event on the 18th May here at the Academy. It was a good run from youngster Dan Legassick to reach the final which was always going to be a tough match against the experience of Neck.” Any players wishing to enter this tournament should contact the WEBSF by email: websf_uk@yahoo.co.uk or phone Steve Canniford, Mobile 07891940995. This event was organised and run by the WEBSF, and sponsored by the South West Snooker Academy, Gloucester. Michael Rogers from Taunton ends the season on a high note, last week saw him win the West of England Billiards & Snooker Foundation (WEBSF) Silver Waistcoat Tour event 5 (under 22’s). This week he stepped up to win his first WEBSF Gold Waistcoat Tour event, beating two times overall champion Andy Neck from Newton Abbot in the final. Neck’s runner-up spot was enough to see him be the first player to win back-to-back overall Gold Waistcoat Tour titles. He will, no doubt, have his sights on next seasons tour in an attempt to make it an impressive treble. Former professional Neck will be the first to admit that the going gets tougher each year. The new breed of talented young stars who are emerging from the region play a fearless open attacking style of play. This approach forces Neck to call on his past experiences as a professional to keep them at bay. A second consecutive tour title is Testament to his determination, tactical knowledge and practice ethic. Neck finished the season on 3200 ranking points, 1,160 points ahead of Steve Brookshaw from Plymouth, who finished just 40 points ahead of Paul Standen (Braunton) in a creditable third place. The overall highest break was won by Sam Baird from Halberton who graced us with his presence in the first event. He made a superb 134 clearance. Since that first event Baird’s has been fully committed on main professional tour where he reached the final televised stages of the Welsh Open and World Championships to bring a creditable end to his season. In the earlier rounds of the knock-out stages of Gold Waistcoat Haydon Pinhey, aided by a 61 break, beat two times finalist Standen before losing in semi final by the odd frame to Rogers. Rogers reached the semi’s by beating Darran Lock (Seaton), again on a deciding frame. In the bottom half of the draw Jay Bullen from Exeter beat Dan Legassick from Plymouth whilst Neck Beat Wayne Branton, Branton taking the prize for the highest break having earlier made a 79 and was to end Bullen’s run in the semi final. Unusually the group stages produced no big breaks of note, 40’s and 50’s seemed to be the order of the day on the testing championship tables. Group A was won by Bullen who edged out Pinhey on head to head count-back into second spot, Pinhey posting the only breaks of the group; 45,49 & 49 clearance. Bristol cueist, Kurtis Weaver was unlucky to have finished in third place by virtue of a single frame in what was a three way tie for the group. In group B Lock pipped Branton to win the group on frame count-back. Nick Kenny (Barnstable) made a 43 break whilst Branton posted two 43’s and a 79. Rogers won group C with breaks of 42 & 45 ahead of Standen in second place. In last group Neck edged out last event’s finalist, Legassick into second spot on frame difference. Other breaks came from James Lee (Torbay) 55; Neck 50 & 53; Legassick 53 and Dale Branton 45,45,47 & 52. The tour still attracts new players from around the region, this event saw Harry Farrell (Staffordshire), Steve & Kurtis Weaver (Bristol) and Aaron Newman-Cook (Gloucester), all giving good accounts on their first outing. Spokes person for the WEBSF said “Andy Neck has, without doubt, been the most consistent player on the tour this season and is deserving of the title. Steve Brookshaw’s second place also shows that he has the consistency that is required to challenge for this title. However, both these players will do well to repeat these positions next season, as there are a number of young guns closing in who are playing a fearless attacking style of play that will test the more establish players. The Academy at Gloucester is a superb venue for players to hone their skills, the results of which has been evident this season.” Any players wishing to enter this tournament should contact the WEBSF by email: websf_uk@yahoo.co.uk or phone Steve Canniford, Mobile 07891940995. This event was organised and run by the WEBSF, and sponsored by the South West Snooker Academy, Gloucester.